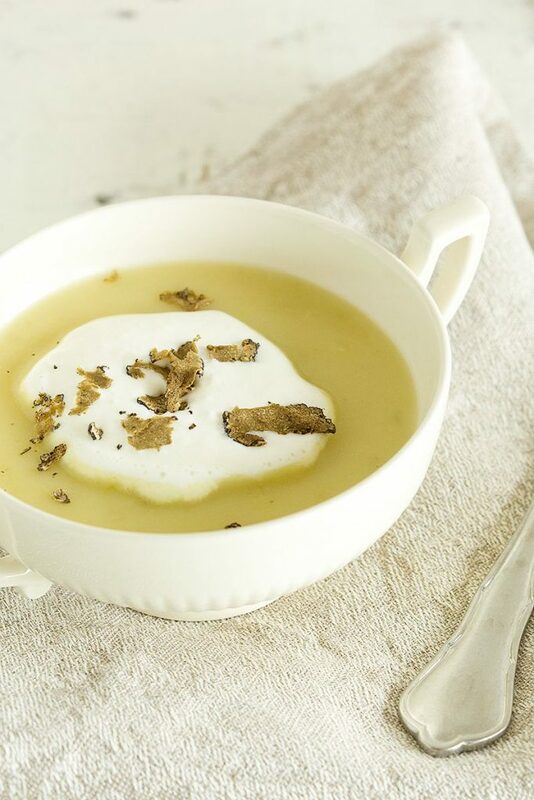 This potato truffle soup feels like a bit of luxery, in your own home. 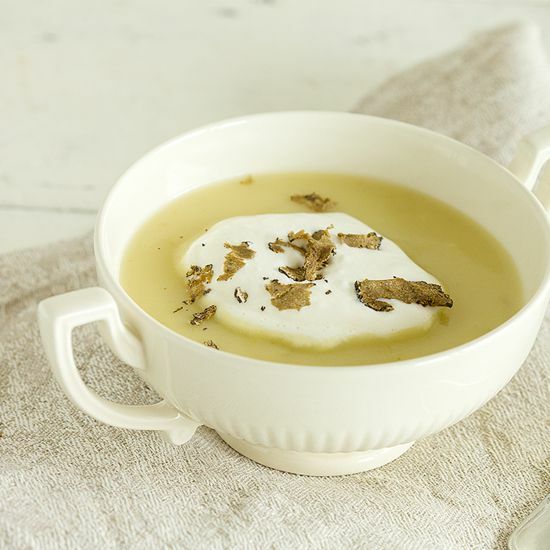 A creamy soup, delicious as a starter for the Holidays or fancy dinner. PEEL the potatoes, rinse them under cold running water and divide them into coarse chunks. RINSE the celery stalk and chop into small pieces. PEEL and finely chop the onion and garlic cloves. HEAT olive oil in the medium-sized pan and sauté the onion and garlic. After a few minutes you can ADD the potatoes, celery and bay leaves. STIR occasionally, POUR in the vegetable stock and bring to a boil. Turn down the heat and let it simmer for about 15 minutes. 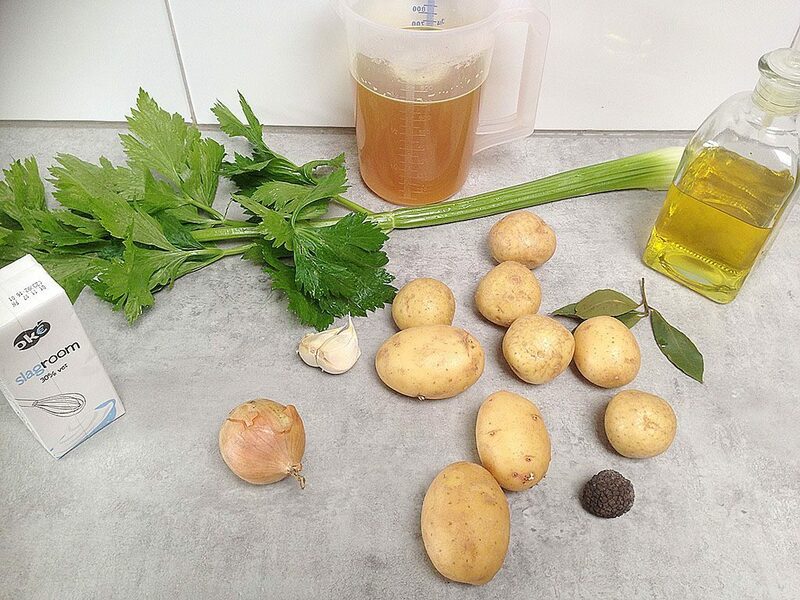 As soon as the potatoes and celery has softened enough, you can remove the bay leaves. BLEND the soup with an immersion or regular blender. If you prefer, you can sieve the soup to get rid of any celery strings. SEASON with pepper and salt. WHIP up the heavy cream until you’ve reached the thickness of yogurt. 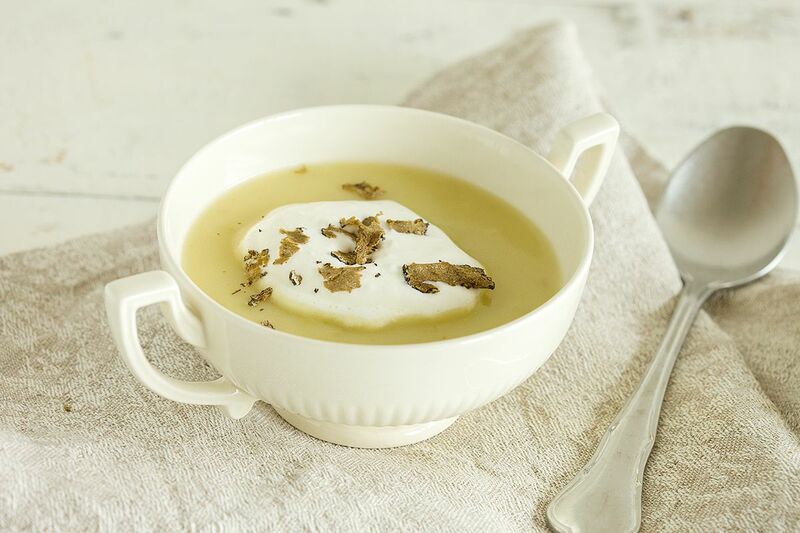 DIVIDE soup over plates or bowls, divide some whipped cream on top and finish with truffle. If you’re using canned truffle, be careful cause they tend to taste stronger than fresh truffle. Enjoy!